Earlier this week, Ohio Governor Mike DeWine visited The Youngstown Vindicator, meeting with two members of the publication’s editorial staff to discuss the closure of GM Lordstown Assembly. The short interview shows how General Motors is keeping its plans for the factory under tight wraps. According to DeWine, General Motors has not indicated its plans for the factory. However, DeWine noted in the interview that he’d received no signs one way or the other if there will be a future involvement at the factory from General Motors. DeWine added that he believes GM is in talks with a company or companies about occupying the factory. 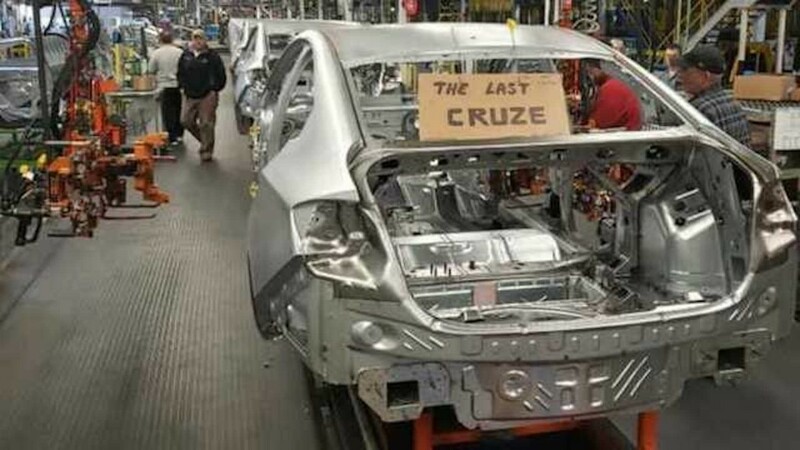 While production fo the Chevrolet Cruze has ended, the automaker still owns the building, which complicates the Ohio government’s involvement in the search process for a new tenet that could bring jobs back to the GM Lordstown plant. DeWine said that if GM is in talks with a new job producer, Ohio’s involvement early could help facilitate a deal that could help bring in a new employer and new jobs. However, until GM brings the governor’s office into negotiations, that state can do little. In the interview, DeWine said it is heartbreaking to watch families affected by the closure uproot their lives and move their families for new jobs. Several started working at GM’s Toledo Transmission Plant. He added that bringing jobs back to the area is his priority moving forward, even if he could lament about the closure and jobs lost to Mexico. DeWine’s interview only further muddies the waters surrounding the future of the GM Lordstown factory. Earlier this week comments by DeWine in an interview with another publication indicated something is going on behind the scenes at Lordstown; however, he’s not privy to the details. Rumors will continue to fly until later this year when the United Automobile Workers union meets later this year with General Motors to negotiate a new contract. Until official word comes from GM, everything is just speculation. till the union has no say in running the plant it will stay empty or be torn down. Let’s close a plant in Mexico and keep this plant open. Let’s shut down Mexico all together, instead. I wish Trump would jump harder on GM.This is corporate treason.This is spreading thru out the manufacturing sectors in this country like cancer.There is no silver lining in this mess. Stop making sense! It will mess up the idiots that think corporation are wellfare providers. Also they think that when a mfg shuts down a declining segment vehicle prematurely that they can just start building a new model in 3 months. GM is going into talks in a July with the UAW on this plant and oth will come out with an agreement.